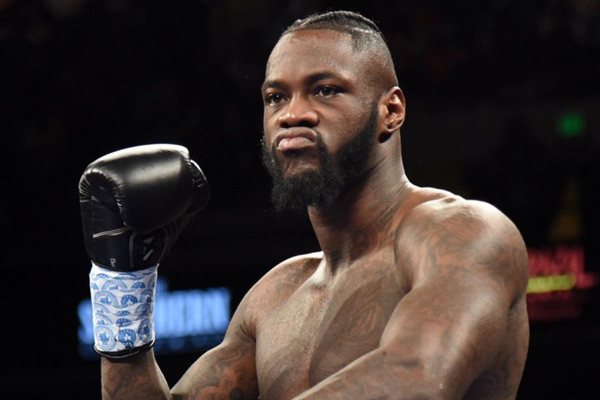 In a conversation on Wednesday with Showtime’s Brendan Schaub, WBC heavyweight champion Deontay Wilder expressed puzzlement that American boxing fans have yet to embrace him: “It’s mind boggling to see Americans embrace others before their own,” he stated, in an obvious reference to England’s undefeated Anthony Joshua. I am a United States Army combat veteran. I consider myself a reasonably patriotic person. When it comes to the Olympics or other international competition, I cheer for the athletes from the United States. But I see absolutely nothing baffling about the fact that so many American fans have embraced Joshua over Wilder. The big man from London has already done more, in a career that has been half as long. It is normal to develop a heavyweight fighter at a cautious pace. In the sport’s glamour division, a promising commodity can be forever set back from a single punch, that takes far less than a second to deliver. But nine years and 38 fights into his professional career, Wilder has fought just a single top-10 heavyweight: Bermane Stiverne. And Stiverne was a marginal top-10 fighter, not a truly established, top-five contender. Anthony Joshua, by contrast, has fought 19 times in a career that is just over four years old. In his last bout, he knocked out Wladimir Klitschko. Wilder deserves a limited amount of criticism for the poor quality of his resume, at least in the past two years. He was supposed to fight Alexander Povetkin but Povetkin failed a PED test. He was supposed to fight Luis Ortiz, but Ortiz failed a PED test. Nobody can deny that Wilder is a dangerous heavyweight fighter. He has knocked out 37 of 38 opponents. He has the kind of power that can turn around a fight in a hurry. I am an optimist by nature. I think a showdown between Wilder and Joshua is inevitable. If it happens, I’ll be rooting for our guy from Alabama. But in the meantime, I would have to be the worst kind of Jingoist to deny that Joshua has done far more to legitimize himself than Wilder has.